I love my dog so much. He is the most precious thing in the world to me. 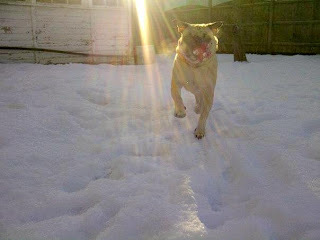 I love how his ears flap when he runs - this picture captures it perfectly! Watching my dog play fetch is watching 100% Pure Joy in action.